Malaysian seems to obsess with heights. 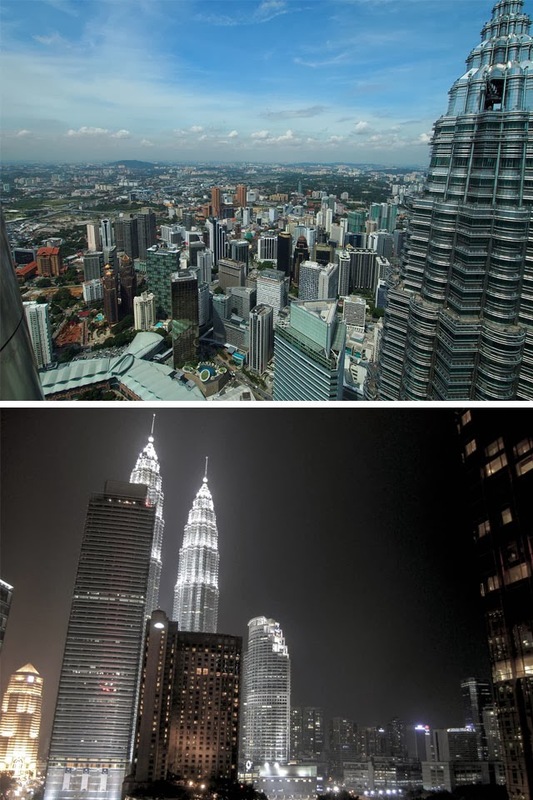 When the Petronas Twin Towers were overtaken by Taipei 101 as the world's tallest building, the then Prime Minister Dr. Mahathir cleverly reinterpret and reiterate to the world that Malaysia still have the world's tallest twin towers. In fact he is right even up until now and the twin towers have never stop inspire architects, planners and developers to build higher and better building. So far none has managed to surpass the twins...YET. KLCC (Kuala Lumpur City Centre) where the Petronas Twin Towers are located, is indeed the heartbeat of Malaysia. It seems like a construction site that never stop. There are more exciting projects coming up around the area. It is an area with high density of skyscrapers cladded in metal and glass. A sea of green, blue, silver and grey is the main color scheme of the area. It is the central business district, the commercial heart of the city and the entire country. It is an area dedicated to the modern day cathedrals of economics.